The entire album has been uploaded below for your listening pleasure. To stream the song and listen to it right now simply click on the "Download File" link and the song will play. 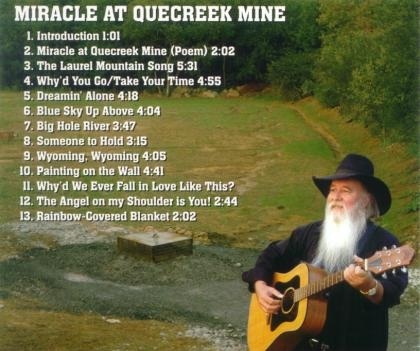 To save the song to your computer "right click" on the "Download File" link and click "Save target as..." or "Save link as..." Then select a location to save the song (like your desktop or create a new folder titled "Miracle at Quecreek Mine"). Finally click "Save" and the song will now be saved to your computer.